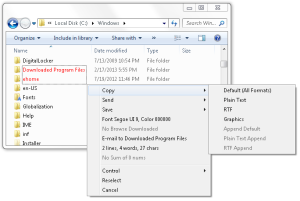 Textract SDK uses screen OCR to feed your program with the text data from an existing application. 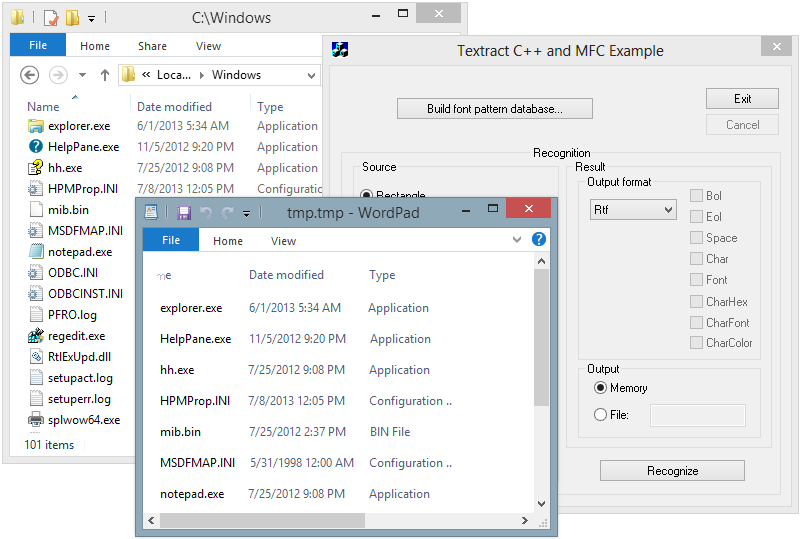 It works even if this application does not support any communication API, like clipboard copy-paste or OCX/automation. Textract captures image directly from the screen and converts it to text. 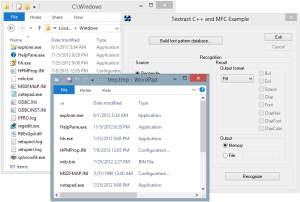 Windows ClearType technology is fully supported. You develop software for MS Windows, it unites existing systems. You have to read text data from a system that cannot interact with the other programs but shows all information on the screen. What is the redistribution policy for Textract? Copy the Uncopyable with Kleptomania utility. Do you know how to capture text from folder trees, file lists, database reports, messages and dialog boxes? legacy systems? Answer: Kleptomania. Based on OCR. Free to try. 5000+ registered users worldwide. The core of the Textract and Kleptomania is a proprietary screen OCR (Optical Character Recognition) engine. 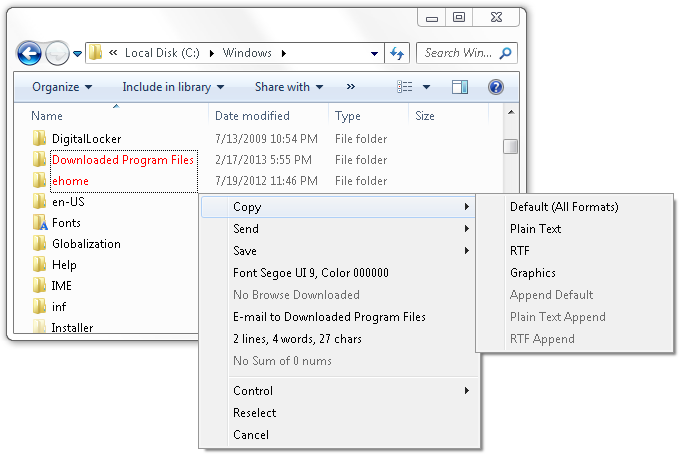 It is specifically designed to capture the text produced by the Windows graphics system. It enjoys the benefits of being devoted to Windows: it extracts precise properties of each letter, including location, font face, style and size. No other OCR can do that. On the other hand Taxtract and Kleptomania are flexible enough to read any human-recognizable text from the screen.